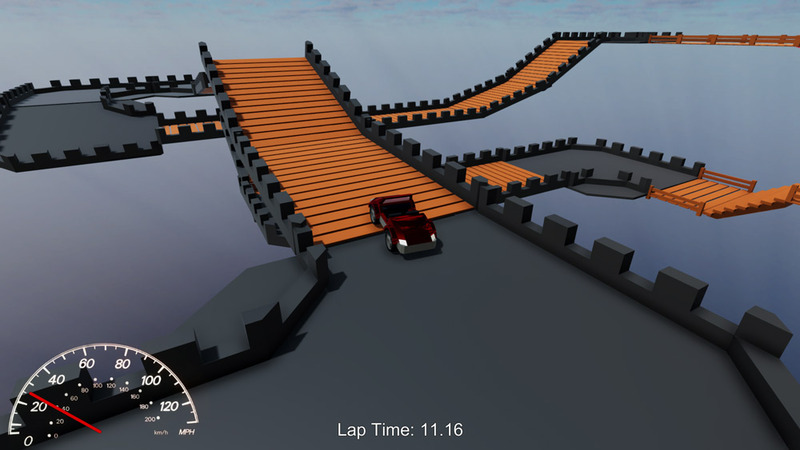 "A minimalist driving simulation game"
On The Road is a minimalist driving game where the sole objective is to set the best race time that you can and then keep trying to beat it. 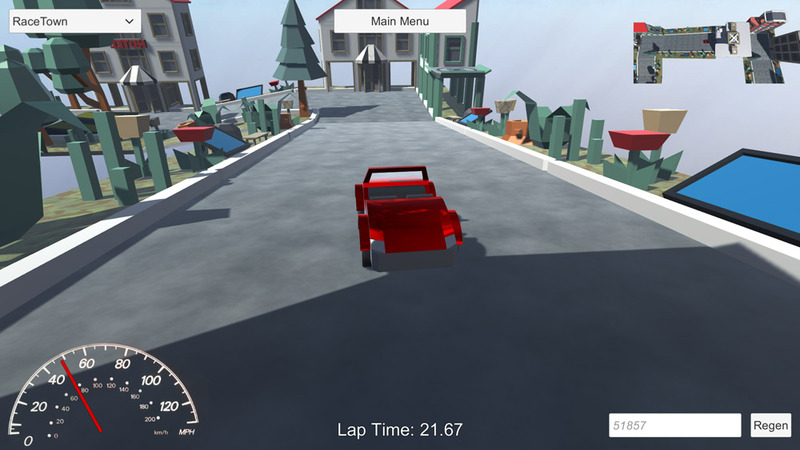 It is a simple yet effective objective and while there is a distinct lack of good free driving games if you are the sort of player who is simply about speed and bettering your last record then this could be the game for you. 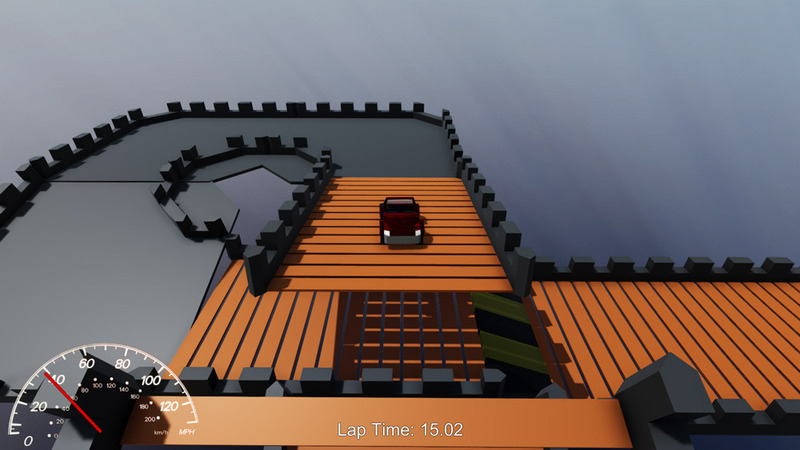 Surprisingly for something labelled as minimalist On The Road is actually very well rendered the background scenery looks decent however there is occasionally design floors in the track, whether these are purposeful as obstacles or just bad design such as half corner with a ledge that is impossible to drive your car over it is unclear but they can hinder your playing experience. 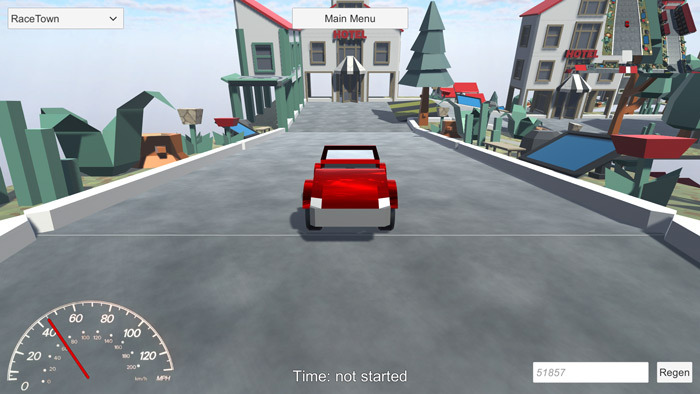 It is a basic driving game but looks better than expected although the handling of your vehicle can be a drag at times, although this is always something difficult to get right when using a keyboard rather than a controller to handle the car. 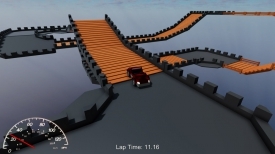 If you are desperate or a driving game this may fill the void for a short time but it really is one for the time trial purists and probably will not hold much appeal to people outside of that group. You can download On The Road here for free.